RP91950PN is rated 3.5 out of 5 by 2. The confident slant of the Pivotal™ Collection makes it a striking addition to your kitchen’s contemporary geometry for a look that makes a statement. Clear the clutter from around your sink with this Delta® Soap Dispenser. This soap dispenser may also be used with lotion. Easily refillable from above the deck, the bottle holds 13 oz. of liquid. Pump assembly and bottle are included. 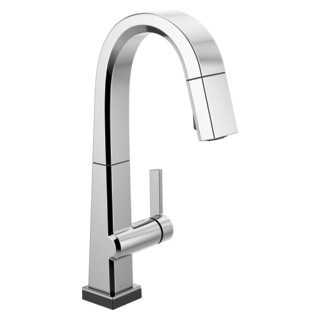 Rated 4 out of 5 by Sae from It's a dispenser... design is a good match to the selected faucet and sink. like the look and finish. Great capacity requiring infrequent filling. Wish the spout was slightly longer. If possible I would have rated it 4.5 . Rated 3 out of 5 by Honestlee from Attention to Design Detail Lacking Just had this installed a couple of weeks ago. Looks amazing but..... For this price point, I expect to have a 13-ounce bottle that is not rounded on the bottom. Really? If you want the bottle to be able to be removed from time-to-time for a deep cleaning, don't expect to ever be able to fill it while it sits on your countertop. When they say "top fill", they really mean, "the only way you can reasonably fill it, is when it is installed and through the top only". Would that have been too difficult to design the mold with a flat bottom. The other really annoying feature is the spinning of the spout. Have fun cleaning all the soap that never made it to the sink edge. Hey, but it looks great! Do soap dispensers take reg liquid soap or foaming soap? what is the measurements of the square base? There are a lot of black stainless appliances out on the market, and all of them have a little bit different coloring. 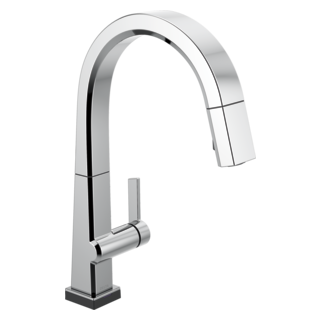 What appliance brand would your black stainless most closely align with? 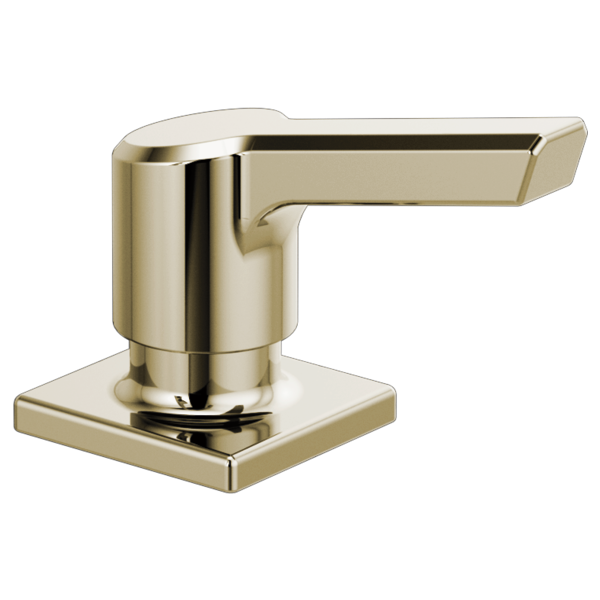 What is the RP91950 soap dispenser made of (the nozzle and square base)? 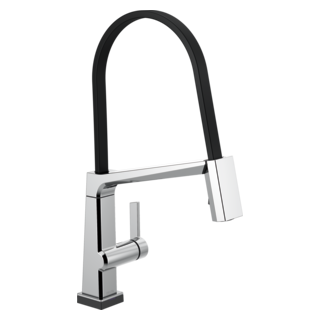 I am purchasing the chrome model of the Pivotal kitchen faucet, I hope the soap dispenser is made of meta/chrome as well, and not plastic like to many others. Could I get the complete part list and installation instructions please? There is a spec sheet on your website but I can't find the other info. Thanks. When will this be available to order?